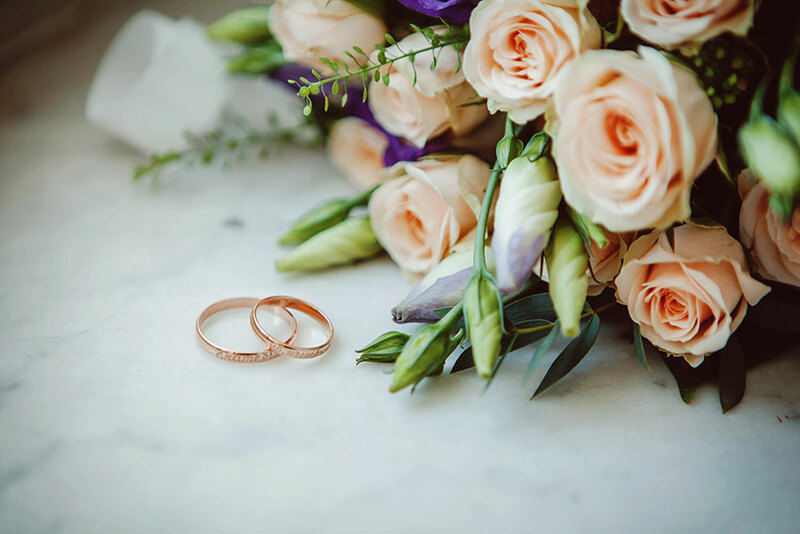 So, the time has come for you to plan your wedding, and you're looking for ideas about flowers to use for the dress, in the ceremony and at the reception. Flowers are an ancient wedding tradition in nearly every culture, and add a flair and elegance to everything they touch, so it's important to make the right decisions when planning an event as memorable as your own wedding. There are many ideas you can consider when choosing flowers for the wedding dress. The bouquet is the most important, and probably offers the most potential choices out of everything else involved. Depending on any number of factors including your favorite color, the color of your hair and complexion of your skin (and even the time of year!) you can come up with many promising combinations. You'll want to consult with a florist to come up with the best ideas that work within your budget. Other ideas include using flowers as accessories for the wedding dress or placing them in your hair to highlight your most beautiful attributes. As always, you'll want to discuss these ideas with a florist for professional wedding advice. There are any number of ideas you can utilize for the wedding itself. Lining walkways with decorative urns of flowers, adorning aisle chairs with beautiful arrangements, and decorating the altar itself are all ideas worthy of consideration. You may wish to consider using flowers to create unique wreathes for the church doors, or to create other decorations to suit your style. For the wedding reception, you can take advantage of hundreds of ideas for nearly every aspect of the event. Discuss this with a florist and ask them for a list of their favorite flowers and most successful designs so that you can choose from among them. Some basic ideas include using flowers to decorate the entrance or walkways. You may wish to create a message spelled out in flowers for your guests and family to enjoy, or to decorate the tables with sectioned centerpieces so that your guests can take a part of your wedding away with them afterwards. The cake platform can benefit from ideas as simple as filling a bowl with attractive flowers and placing it on the table, or as elaborate as having a giant centerpiece. Speak with a florist today about how to make your wedding as memorable as possible. They'll be happy to help!